Template fits into hole to spray a uniform 1" white circle on ground above cup. Steel construction with handle. 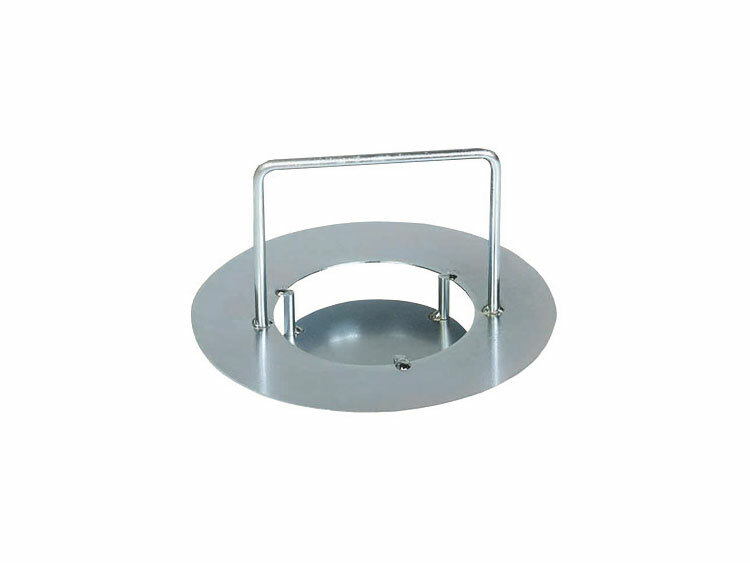 Top flange measures 7.75" outer diameter. Looks like you're interested in our Steel Paint Template. Provide us with some contact information and we'll be in touch!